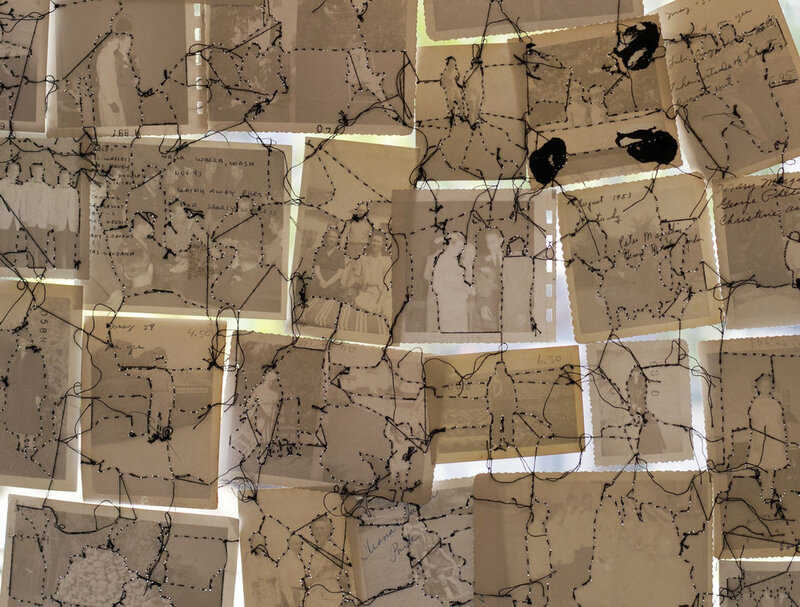 Materials: Hand-sewn vintage photographs, metal pole, fishing line. 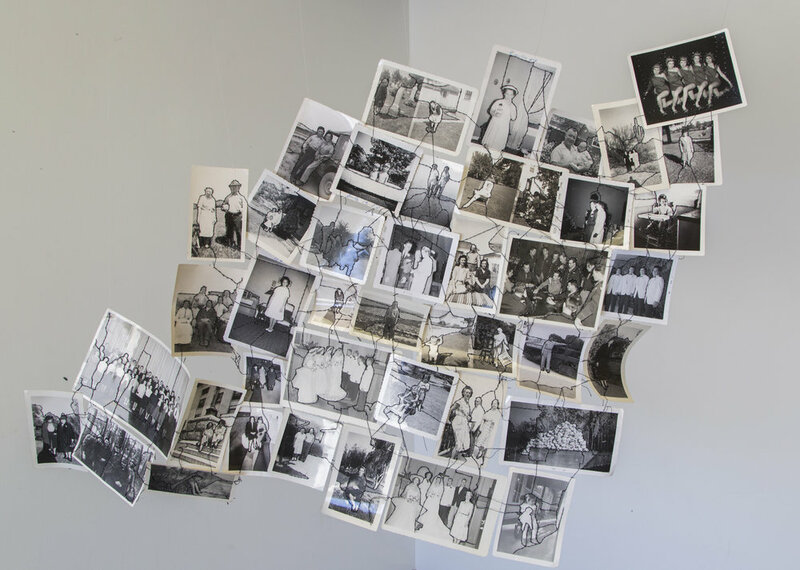 Vintage photographs were collected over several years from different estate sales, thrift stores, and states to create this sewn amalgam of images. The piece is ongoing, this is the current iteration. Pictured: San Diego Art Institute in The Dead Are Not Quiet Group Exhibition (2016).